I’ve gone back and forth on DIY deodorant. Sometimes I feel all Earth mama and ready to slather homemade cream on the pits. Other times, I want to be 100% confident that there will be no sweating or odors. Because with natural deodorant, you will sweat. And it’s an adjustment. I’ve loved this coconut oil-based deodorant and even this DIY stick deodorant. But for reducing sweat and handling odors, this vodka and essential oil-based spray deodorant is my favorite DIY yet. 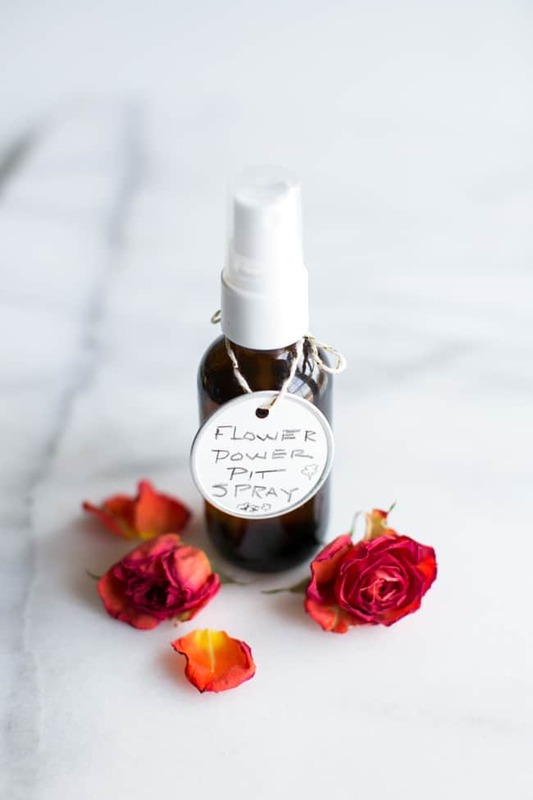 I’m calling this a ‘flower power’ spray because the essential oil blend is a mixture of my favorite florals – jasmine and rose – with a bit of lavender and orange. It’s a happy smell. Yeah, you could add some tea tree but that totally takes the joy out of the scent for me. Just don’t leave out the vodka because it’s essential for the spray. Oil and water don’t mix, but adding a little alcohol fixes that. It disperses the essential oils and helps the scent linger longer in the pit area. I also think the vodka dries things out a bit and helps slow down sweating. Combine all ingredients in a small, dark colored bottle. 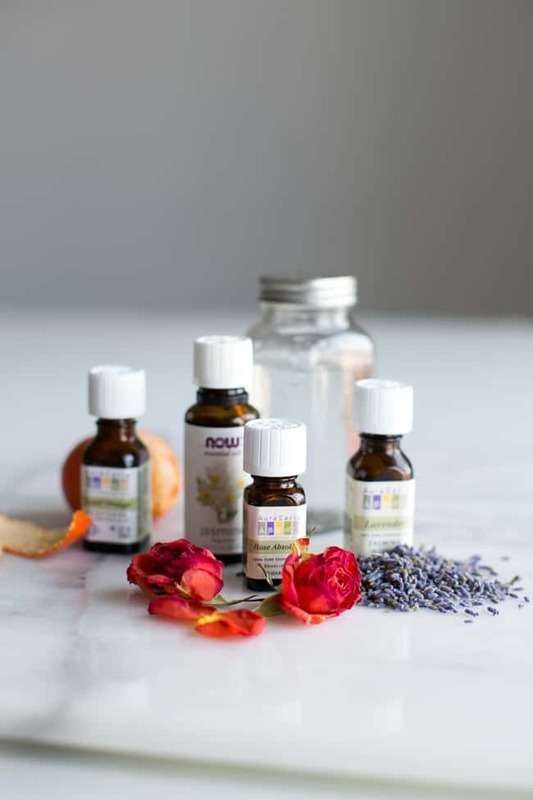 The dark colored bottle will help keep the essential oils from degrading. Shake well to combine ingredients. Shake before each use to distribute the essential oils. Give each underarm 2-3 spritzes and let air dry. It might sting a tiny bit if applied right out of the shower after shaving. Apply again after exercising or heavy exertion, if desired. I tend to spritz a couple of times a day just because I love the smell. I am doubting about the vodka. Is it really fine to use it as a deodorant? Moreover, can I replace vodka with gin? Hi, just looking over the ingredient list and wondering if, after you combine the ingredients, do you fill the bottle with water? It doesn’t sounds like enough to fill a bottle without adding water? I love your website! Starting from the layout of it to the posts published, you’re doing a great job. 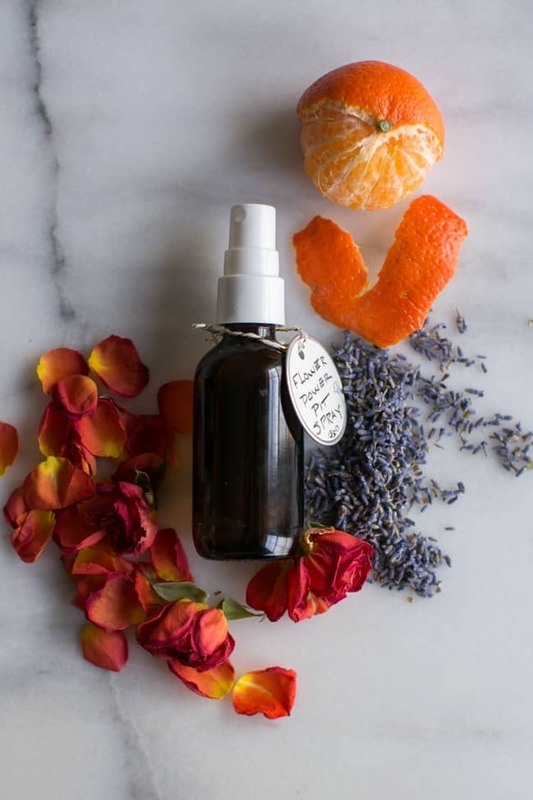 I stumbled upon this read while looking up for DIY chemical free deo sprays, since I’m making a shift from using store made, chemical- laden products to natural ones to help me with my PCOS and Adenomyosis issues. I made my natural deo spray with water, rose oil, lavender oil, sandalwood essential oil and a few drops of coconut oil which helps the fragrance stick to your skin. Really excited to see a few more DIY stuff on your site. Can I substitute any other essential oil for the Jasmine essential oil? does the deodorant smell like vodka? Would you recommend this diy deodorant for kids, ages 9 and 11, due to the alcohol content? it should be okay, as long as your kid is responsible and doesn’t try to drink it aha. but maybe test it on their skin first and lower the amount of alcohol you put in. I have been looking for a deodorant alternative for so long that does not contain aluminum. I am so excited right now and can’t wait to test this DIY out! This is a “must make”! I did it with 90% rubbing alcohol, leaving off the distilled water, because it is a lot less expensive than vodka, which I would have had to buy. Actually, I’ve just been using rubbing alcohol to clean & freshen my armpits. It works as a great deodorant on its own, because it kills the overflow of bacteria that causes excessive odor. 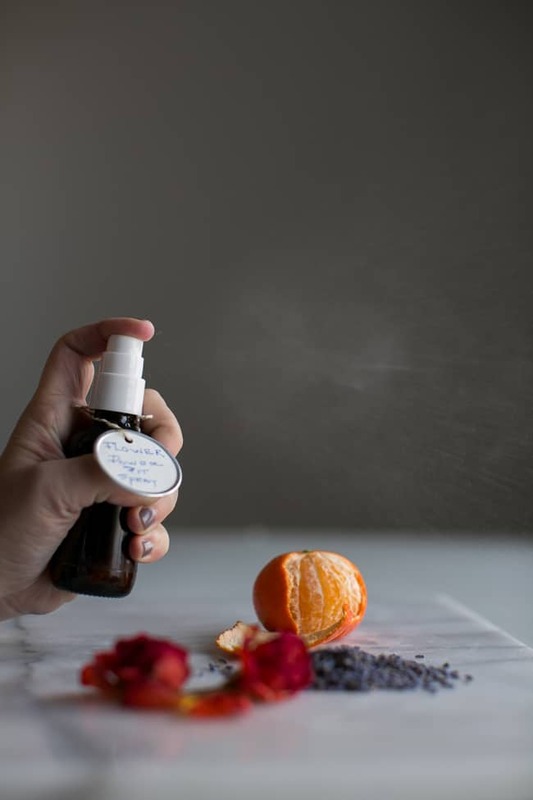 I like this spray bottle with essential oils even better. The smell is yummy! Ok but be careful… putting undiluted alcohol directly into your lymphnodes is not very ideal. You could end up with liver damage if you do this a lot. I use the Honest deodorant spray and love the heck out of it, it’d be a lot of fun to try this one. I’m surprised it’s so easy to make! Thanks for the DIY, I love the styling in this post as well.